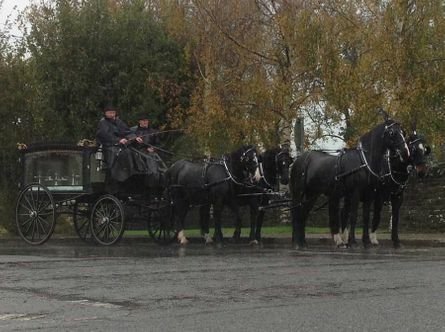 In the tragic event of the loss of a loved one Sean Kilkenny Carriages makes available a respect funeral transportation service. 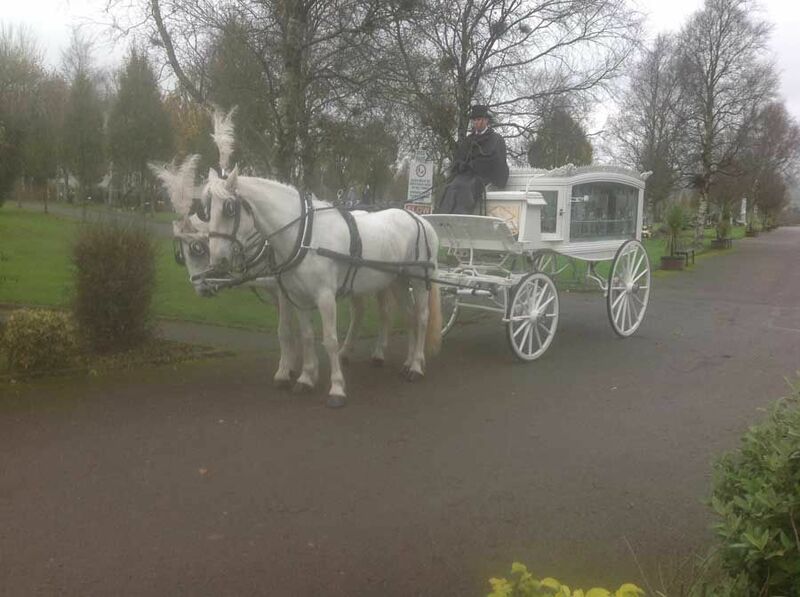 This service prioritises absolute respect for the recently deceased and the dearly bereaved. Our elegant service can transport the remains to the church and from the church to the departed’s final resting place. We ensure clients a respectful service, that puts the dignity of the departed loved one and the grieving family above all else. 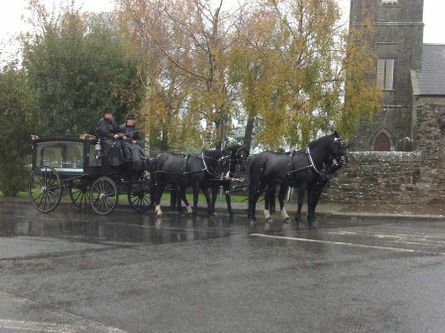 Sean Kilkenny Carriages brings to their tailor-made funeral service the highest level of professionalism and sensitivity. Sean Kilkenny Carriages understands how difficult a bereavement can be on a family. Because of this, we aim to make our funeral carriage service as simple as possible. After we're contacted, we take care of everything related to the transport of the remains from the home to the church and from the church to the final resting place. We always strive to give the family as much space as possible to allow them to get on with the grieving process. 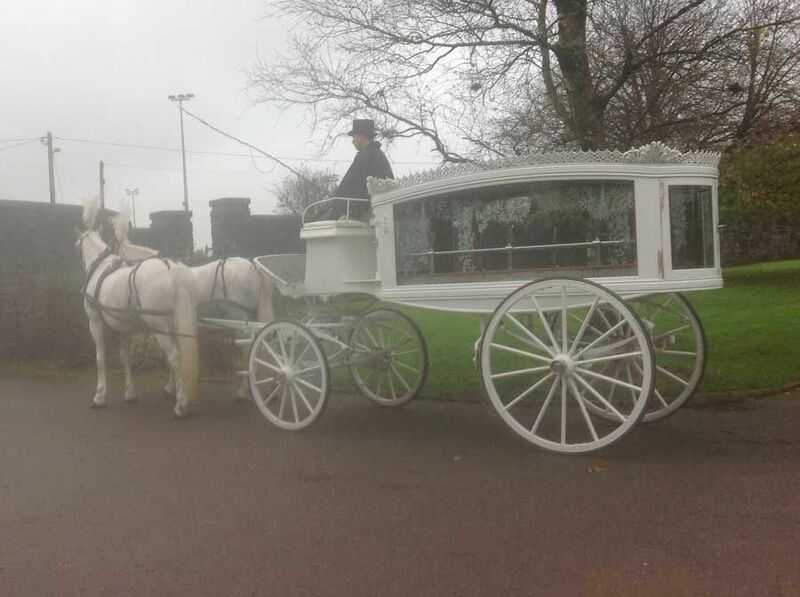 Our funeral carriage is decorated appropriately to reflect the solemn nature of the occasion. We welcome families to add funeral wreaths, flowers or anything else they feel appropriate to our funeral carriage.